Professor Charles Bodman Rae is a composer, pianist, conductor and author. As the seventh Sir Thomas Elder Professor of Music he holds the senior academic position at the Elder Conservatorium of Music, University of Adelaide. This continuing appointment to Australia's first professorship in music (established by endowment in 1884) was made in 2001. He has also led the Elder Conservatorium in the managerial and administrative roles of both Dean and Director (2001-2007). He currently serves as Head of Composition. He was born in England to a family of Scottish and German origins. After private piano studies with Dame Fanny Waterman, founder of the Leeds International Pianoforte Competition, he read Music at Cambridge (Sidney Sussex College). Concurrent with his undergraduate studies at Cambridge he studied composition in Oxford with the composer, pianist and Messiaen scholar, Dr. Robert Sherlaw Johnson, with whom he also studied piano works of Messiaen. After conducting studies with Sir Edward Downes at Hilversum in Holland, and after completing postgraduate composition studies at Cambridge, with Professor Robin Holloway, he was appointed in 1979 to a permanent lecturership in Academic Studies at the then City of Leeds College of Music. After two years he resigned his Leeds appointment in order to accept a postgraduate composition scholarship from the Polish Government, enabling him to live and work in Warsaw from 1981 to 1983 attached, as a visiting composer, to the Chopin Academy of Music. During this time he developed a close professional association - and personal friendship - with one of the great composers of the twentieth century, Witold Lutoslawski, which lasted until the composer's death in 1994. This association led to his doctoral thesis on Lutoslawski's compositional technique (University of Leeds, 1992) and his monograph The Music of Lutoslawski (London: Faber and Faber, 1994) which has been continually in print since the publication of the third edition in 1999. For these and other writings on the life and music of Lutoslawski he was awarded the inaugural Lutoslawski Medal in 2005 and the Lutoslawski Centenary Medal in 2013. Returning to Leeds in 1983 he was appointed to a permanent lecturership in Composition and Analysis, and then in 1992 to the senior management position of Head of School of Composition and Creative Studies. In 1997 he moved from Leeds to Manchester to join the senior management of the Royal Northern College of Music as Director/Dean of Studies with a subsidiary role as Head of School of Academic Studies. In his four years at the RNCM he was responsible for restructuring both the undergraduate and postgraduate curricula and awards, putting in place the innovative feature of 'Supporting Professional Studies' that later contributed to the RNCM securing a HEFCE-funded Centre of Excellence in Teaching and Learning. Whilst at the RNCM he contributed to the Sutherland and Tooley reports on the funding of UK music conservatoires, and was an elected member of the national executive committee of the National Association for Music in Higher Education. He also played an active role in the affairs of the then Federation of British Conservatoires (now ConservatoiresUK). In parallel with his work for leading UK music academies he was for much of the 1990s a regular broadcaster (writer and presenter) for BBC Radio 3. He made several radio documentaries on Lutoslawski and Penderecki, but his biggest project for the BBC was a ground-breaking 9-hour series of programmes (first broadcast in January/February 1990) on connections between Music and Bells. This project represented a long-standing interest that had already been explored in several compositions beginning with Jede Irdische Venus, which had been premiered in Warsaw at the Chopin Academy of Music. In 2001 he was recruited from the RNCM to direct and merge two music schools in Adelaide, the Elder Conservatorium of Music and the School of Music of the Adelaide Institute of TAFE. The merger was effected in 2001 and 2002 was the first year of the new dual-sector music academy (initially known as the Elder School of Music). From 2002 to 2005 he led a major multi-million dollar capital development of the school, jointly funded by the Federal and State Governments. 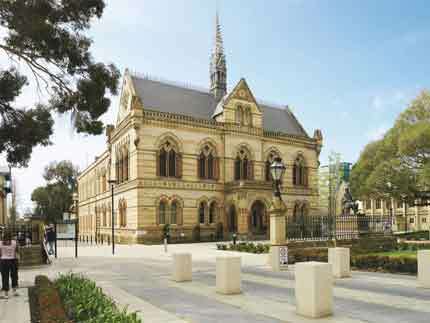 The new facilities were formally opened by the Premier of South Australia in May 2005. The many changes and enhancements implemented during his term as Dean and Director resulted in the Elder Conservatorium becoming recognised once more - both nationally and internationally -as one of Australia's top music academies. Since completing his fixed term of six years as Dean and Director in 2007 he has focussed on enhancing the research profile of the Elder Conservatorium and on continuing to advocate, at the national level, for recognition of artistic endeavours as bona fide research outcomes. These activities came to fruition with the full recognition of the creative outcomes of music and creative arts for the inaugural Australian research assessment exercise (ERA). For this exercise he was responsible at the university level (as so-called 'Research Champion') for formulating the ERA submissions for Creative Arts (category 19) in 2009, 2010 and 2012, as well as being one of the major contributors. In each case the submission was awarded the highest grade (5) above all the other Australian music schools/academies. 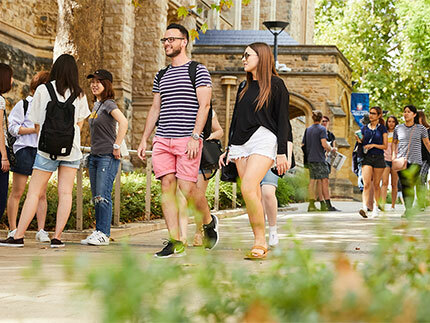 Thus the Elder Conservatorium of Music has been officially rated - three times in succession - as the top Australian institution for research in music, principally due to its great strengths in composition and the performance of new music. In 2004, concurrent with his leadership of the Elder Conservatorium of Music, he was elected to a three-year term as Chair of the Academic Board (Academic Senate) of the University of Adelaide. In this capacity he also served, ex officio, as a Member of the University Council, a member of the Vice-Chancellor's Committee (the senior executive group of the university), and many other university committees. In Australia he has served as a non-executive Director on the Boards of the following organisations: the Helpmann Academy for the Visual and Performing Arts; the Australian Music Examinations Board; and the Adelaide Symphony Orchestra. In 2000 he had joined the Quality Assurance Agency (QAA) in the UK as an Institutional Auditor, and in 2006 he was also invited to join the Australian Universities Quality Agency (AUQA) as an Institutional Auditor. He is a Trustee of the South Australian Guadagnini Trust, and a member of the Advisory Board of the Australian Music Foundation. His professional debut took place in 1974, with the premiere of his first orchestral work, Primum Mobile. The piece was selected for the finals of the Scottish Composers' Competition held in Aberdeen as part of the International Festival of Youth Orchestras. The chairman of the jury was Aaron Copland, and the performance was broadcast on the BBC Radio 3 network from BBC Scotland. His Australian debut, as both pianist and composer, was given during the 2002 Adelaide Festival of Arts. In 1999 he was awarded the honorary Fellowship of Leeds College of Music in a ceremony held in the Great Hall of the University of Leeds. In 2005 he was awarded the inaugural Lutoslawski Medal for his "outstanding achievement in promoting the ideas and work of Witold Lutoslawski". The award was presented in a ceremony at Warsaw's Royal Castle by the pre-eminent Polish film director, Andrzej Wajda. Also in 2005 as Dean/Director he received on behalf of the Elder Conservatorium of Music an Australian Classical Music Award (APRA/AMC) for "outstanding contribution by an organisation" in recognition of the highly acclaimed chamber music series of 22 events (all broadcast live on ABC Classic FM) that he had curated for the 2004 Adelaide Festival of Arts. 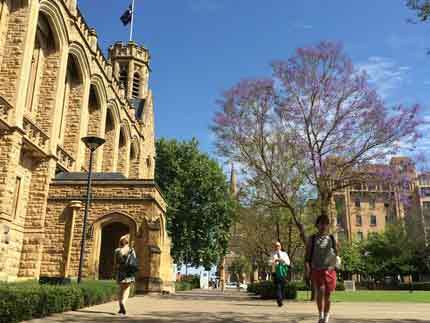 The Elder Conservatorium of Music is the only Australian music academy to have received such an award. On 24 January 2013 he was awarded the Lutoslawski Centenary Medal at a gala broadcast concert held in the ballroom of the Royal Castle in Warsaw. The award was made by the International Lutoslawski Society under the auspices of the Polish Ministry of Culture and the Mickiewicz Institute. Others who received this medal included: the conductors Jan Krenz, Esa-Pekka Salonen, and Sir Simon Rattle; the German violinist, Anne-Sophie Mutter; and the American composer, Steven Stucky. He has taught at the undergraduate levels at the City of Leeds College of Music and the Royal Northern College of Music. The main focus of this teaching has been on Musical Composition and Musical Analysis, but has also encompassed Musical Performance (conducting orchestras, coaching chamber music, coaching solo performance), Music History, Aesthetics, Music Theory. He has taught at the postgraduate levels (coursework and research training) at the Royal Northern College of Music and the Elder Conservatorium of Music, University of Adelaide. 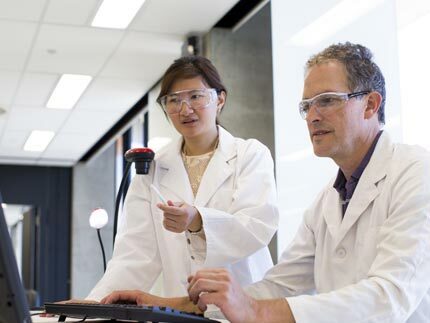 Since 2003 he has consistently been one of the top doctoral supervisors for the University of Adelaide (across all faculties/disciplines) as measured by supervisory load and successful completions. In the last ten years he has supervised to successful completion 30 doctoral research projects across a wide range of musical fields, including: Musical Composition, Musical Performance, Musical Analysis, Musicology, and Music Education. He currently supervises circa 28 research projects. Recent PhDs supervised/awarded: by thesis, Abigail Chantler, Helen Rusak, Jennifer Rosevear, Helen Pietsch, Joanna Drimatis, Emily Kilpatrick, Bartlomiej Walus, Luke Dollman, Robert Wolf, Emily Dollman; by portfolio of recorded performances, Peter Handsworth, Tomoe Kawabata, Kemp English, Mark Gaydon, Marija Bajalica, Christopher Martin, Leigh Harrold, Julie Haskell, Paul Rickard-Ford, Kathryn Moorhead; by portfolio of compositions, Callie Wood, Wayne Duncan, Diana Weekes, Anne Cawrse, Melisande Wright, Raymond Mok, Quentin Grant, John Polglase, Luke Harrald, Mark Smith, Paul Bonetti, Ian Andrew. Recent MMus/MPhil supervised/awarded: Ryszard Pusz, David Stanhope, Macarena Zambrano, Konstantin Shamray, Philip Hall, Gabriella Smart, Virginia Lakeman, Airlie Kirkham, Callie Wood, Amanda Lovelock; Scott Simon, Jody Fisher, Amanda Lovelock, Holly Thomas. PhDs in progress: by thesis, Simon Lord, Penelope Cashman, Virginia Lakeman; by portfolio of recorded performances, Charles Klein, Gabriella Smart, Elizabeth Layton, Rachel Johnston, Clemens Leske, Mekhla Kumar, Kathy Selby, Konstantin Shamray, Madeline Procopio; by portfolio of compositions, Sebastian Phlox, David Stanhope, Dylan Crismani, Jesse Budel, Nicholas Denison, Daniel Schricker, David Lang. MPhils in progress: Alison Heike, Stephan Richter, Matthew Binion, Kenan Henderson, Callum Gunn, Samantha Raftery, Natalie Zeleny, Thomas Devereux. He has been a guest at leading music institutions and universities in the USA, Canada, UK, continental Europe, China, Australia and Korea. He has served on the juries of several national and international competitions, including: the 2004 Lutoslawski Composers' Competition, Warsaw; the 2003 Young Performers' Awards of Symphony Australia and the ABC; the 2011 International Chopin Competition of Australia, Canberra; and the 2017 International Chopin Competition of Australia. He has been the keynote speaker at conferences in the UK, Australia, Canada, and Poland. His primary research interests lie in the fields of Musical Composition and contemporary Polish Music (particularly the music of Witold Lutoslawski). His secondary research interests include: orchestrating works of Chopin significant for their innovative, chromatic and highly expressive harmony; and connections between Music and Bells. The former interest can be seen and heard in his orchestrations premiered by the Polish National Radio Symphony Orchestra in 2010, now published by PWM of Krakow. The latter interest has been expressed through original compositions, research papers, articles for The New Grove Dictionary of Music and Musicians, and programmes for BBC Radio 3. His creative works are represented through the Australian Music Centre, Sydney. His writings have been published by Oxford University Press, the Polish Academy of Sciences, Faber and Faber, Omnibus Press, Polskie Wydawnictwo Naukowe, Musica Iagellonica, and others. His publications formed part of the submission from the Royal Northern College of Music for the UK's Research Assessment Exercise (RAE2001). He led the top-rated submissions from the Elder Conservatorium of Music for Australia's research assessment exercises in 2009, 2010 and 2012, and was formally designated as the 'research champion' to lead and represent the area of music and creative arts. Since 2003 he has been an 'OzReader' for the Australian Research Council, advising on proposed projects in the creative arts. Lutoslawski Studies Project, led by Prof.dr.hab. Zbigniew Skowron, Institute of Musicology, University of Warsaw, funded by the Polish Committee for Scholarly Research and the Polish Academy of Sciences (1997-2000). Panufnik Project, led by Prof.dr.hab. Jadwiga Paja-Stach, Institute of Musicology, Jagiellonian University, Krakow, funded by the Polish Committee for Scholarly Research and the Polish Academy of Sciences (to 2003). Mundus Musicalis Project, an international research consortium of music academies, led by the European Association of Conservatoires, funded by the European Commission (2004-2007). This project included representatives from the USA, Australia, UK, Brazil, Norway, Canada, Korea. It reported formally to the European Commission at the end of 2007 (see www.aecinfo.org). He has received major project funding in the form of commissions for new creative works from the Yorkshire Arts Association (UK), and from the Australia Council for the Arts. For 2013-14 he was awarded a research grant from the Institute for Music and Dance of the Polish Ministry of Culture and National Heritage in order to pursue his project on 'Reconstructing the Soundscape of Warsaw's Bells'. Ghosts of Galicia II (2014), for violin, clarinet, cello and piano. In four movements. Duration: 22 minutes. Dedicated to Gabriella Smart and Soundstream. Premiere given by Soundstream on 19 September 2014. Charles Bodman Rae was elected a full (writer) member of the Performing Right Society (London) in 1982. In 1988 he was elected a Fellow of the Royal Society of Arts (London). Since 2009 he has been a Represented Artist of the Australian Music Centre, Sydney.